During my many years as Artistic Producer of M6 Theatre Company, there were certain actors who worked with us many times – Eve was one of those very special people. She’s a highly talented, warm, brave and truly collaborative artist. Eve’s got great integrity and respects her audiences wherever and whoever they might be. With M6’s touring productions, Eve performed in theatre venues across the UK and abroad, in local schools and nurseries and at highly acclaimed International theatre festivals. Her characters reached out and moved audiences, drawing them closely into the emotionally rich stories being shared. Eve has given me valuable insight into her way of working, the values and ethos that animate her work, and her commitment to conveying the many diverse experiences and emotions that make up a community’s experience. 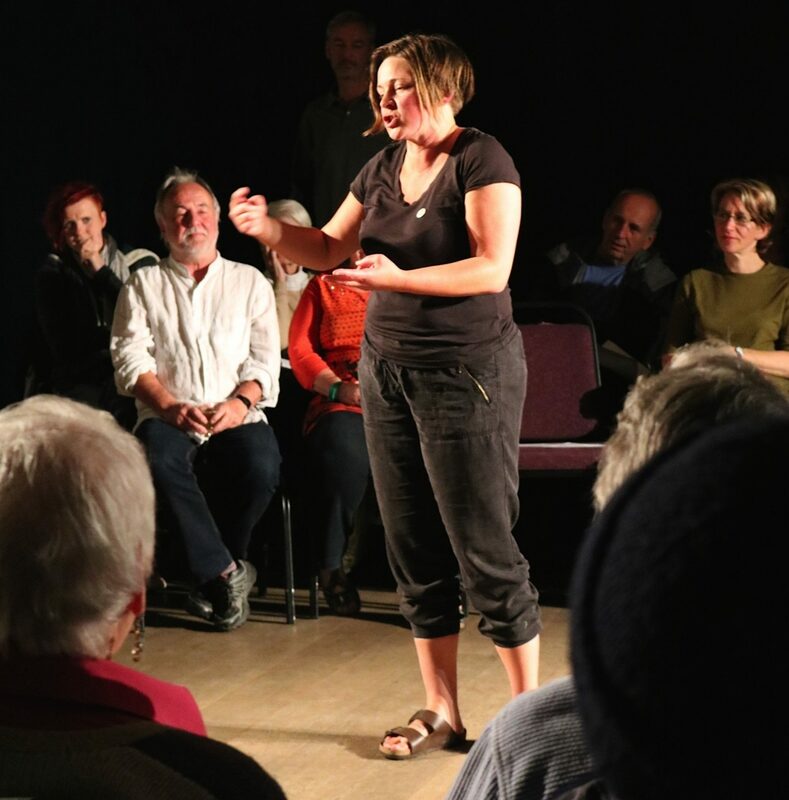 The performance of ‘That Day It Came’ in our valley in the summer of 2016 provided a much-needed opportunity for the people who saw it – many of who had been affected by the floods – to process and reflect on their experiences. Since then, Eve has also put together and performed shorter versions of this work for my students studying community resilience at the University of Bradford. These have been powerful mini-performances that have made an important contribution to their learning. Eve’s approach to verbatim theatre has shown me how valuable and flexible this format can be for recording, sharing and processing important experiences and personal stories. I’ve been inspired by her passion for stories, sense of humour and thoughtfulness in interacting with people, and am very happy to recommend her work. Dr Ute Kelly, Peace Studies Lecturer at Bradford University. Dr Kelly Loughlin, Mechanics At Home.